This spring, fifth grade students in Mrs. Gurney’s class atthe Ocean Avenue School in Portland, Maine, added a new component to theirsocial studies lessons with FamilyTies Online, a web-based curriculum available free through the Historic NewEngland website. Family Ties Onlineincludes lesson plans, activities, and primary source documents from ourcollection and is designed to give young people the skills and tools needed todocument their own family history. 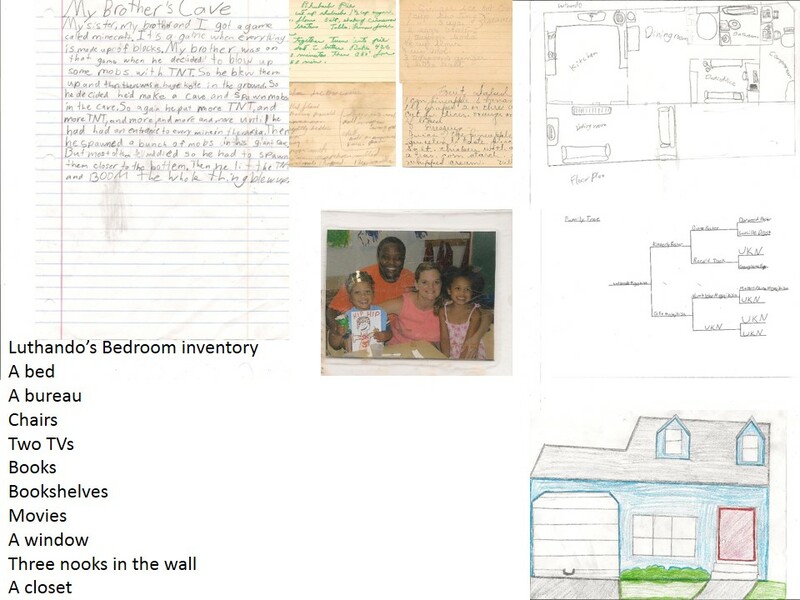 After an initial planning meeting with Education ProgramManager Carolin Collins, Mrs. Gurney decided to assign eight of the more than fortyavailable activities and discussion topics that would be the best fit for herstudents, including family trees, inventories, and documenting a familytreasure through conducting oral histories. For a final project, studentscompiled their work into a digital collage and slideshow, which they presentedto their classmates. The students were surprised and delighted by the discoveriesthey and their classmates made, and by the realization of just how diverse agroup they are. This class of twenty-five included students whose families camefrom Cambodia, Sierra Leone, Peru, Turkey, and Iraq, as well as all corners ofEurope and the United States. Treasures included a kutub al-sittah (collectionof sayings or acts of Mohammed) passed down over four generations, a Bible inAramaic, a blanket hand-woven in Ireland in the nineteenth century, and a recipefor ginger icebox cookies. Mrs. Gurney was impressed with the results of Family Ties Online and plans to use it even more with next year’s students. Visit Family Ties Online.